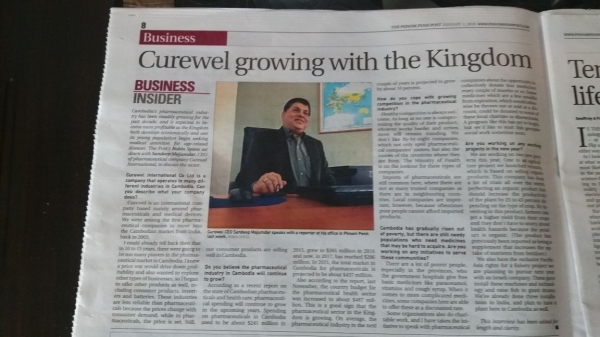 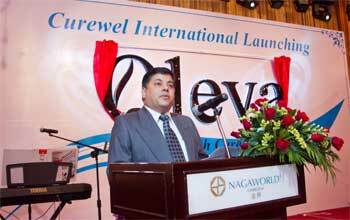 As the Chairman of Curewel International Company, I welcome you! 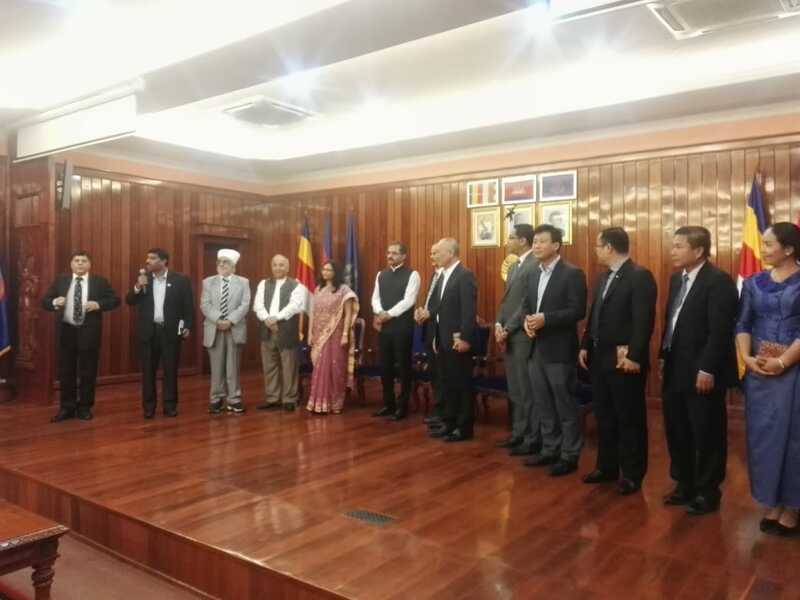 I would like to accentuate our continued and focused commitment towards the improvisation of all the divisions of the company. 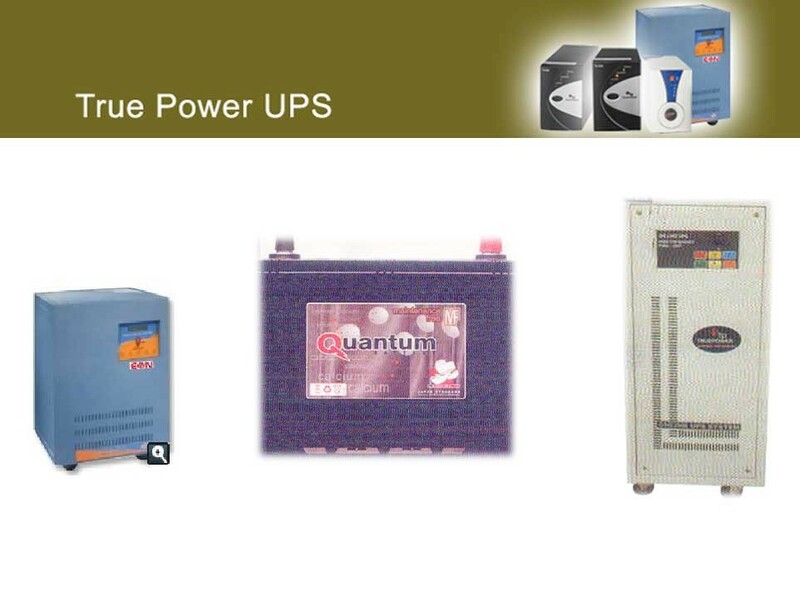 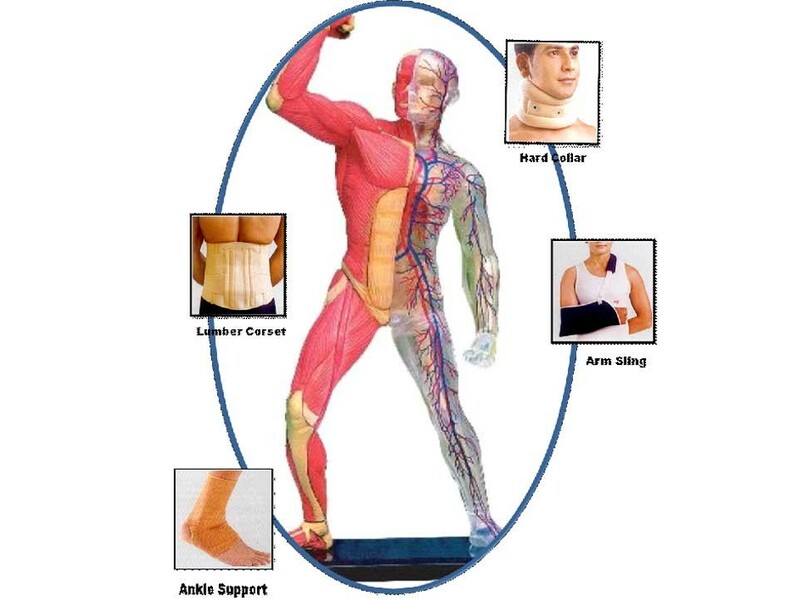 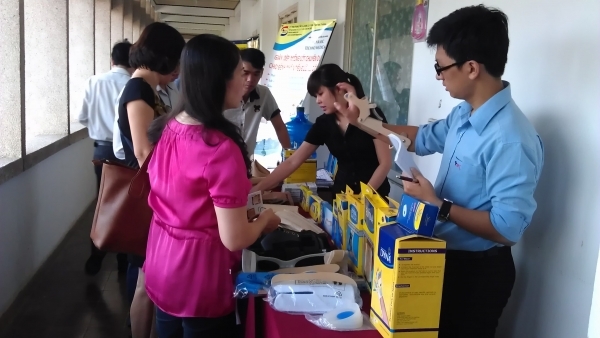 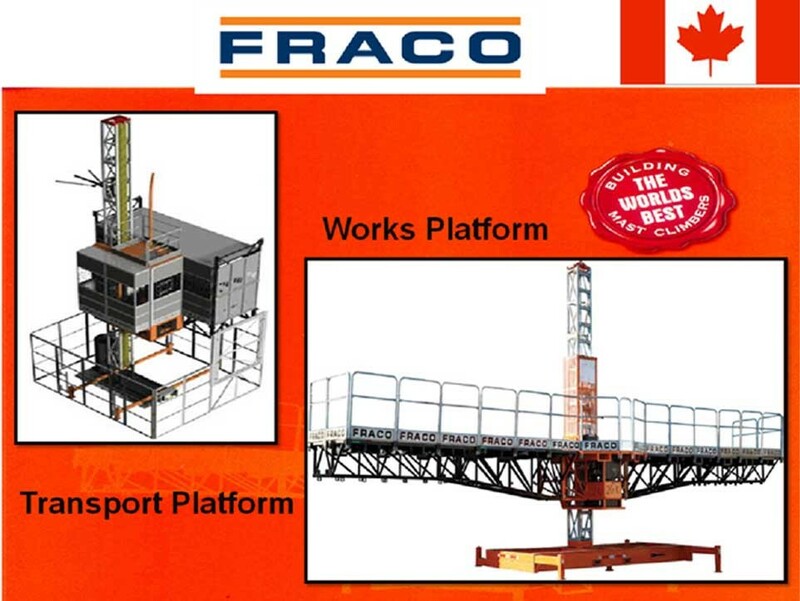 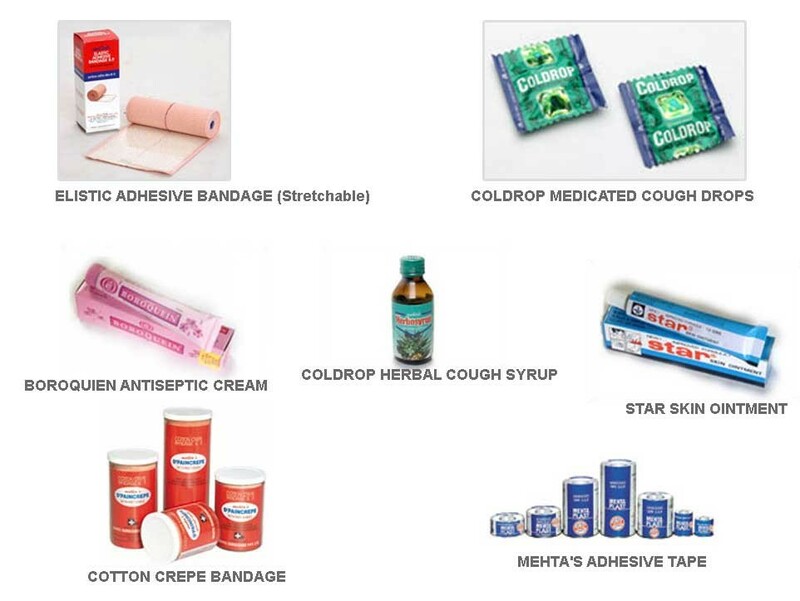 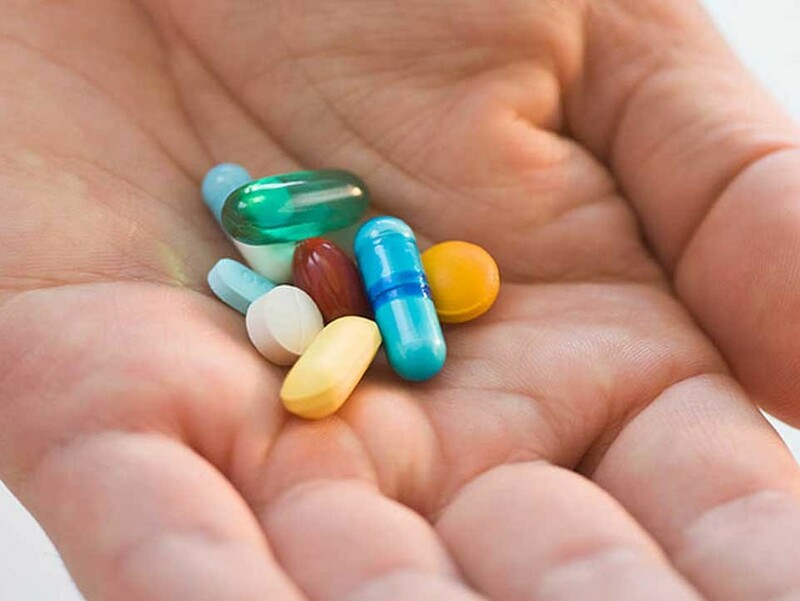 We have consistently given our consumers quality products and efficient services from the global market. 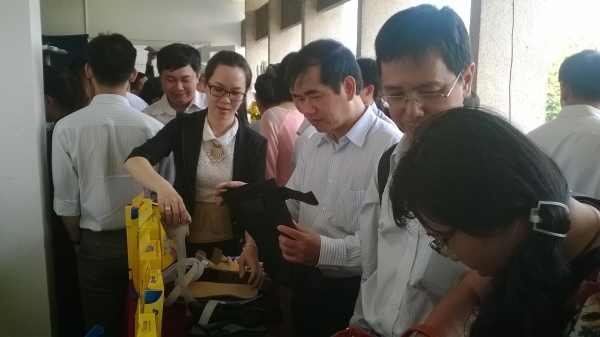 In future we will strive hard to improve our efforts to achieve our goal of offering better life to our consumers. 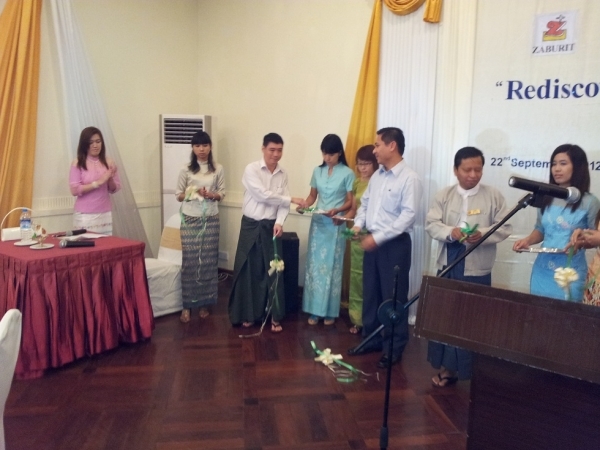 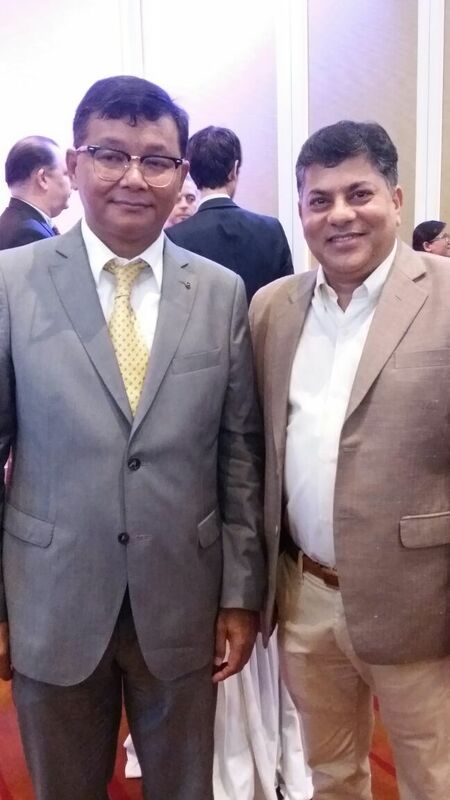 I take this privilege to introduce the officially registered g of the Indian Chamber of Commerce in Cambodia (InCham). 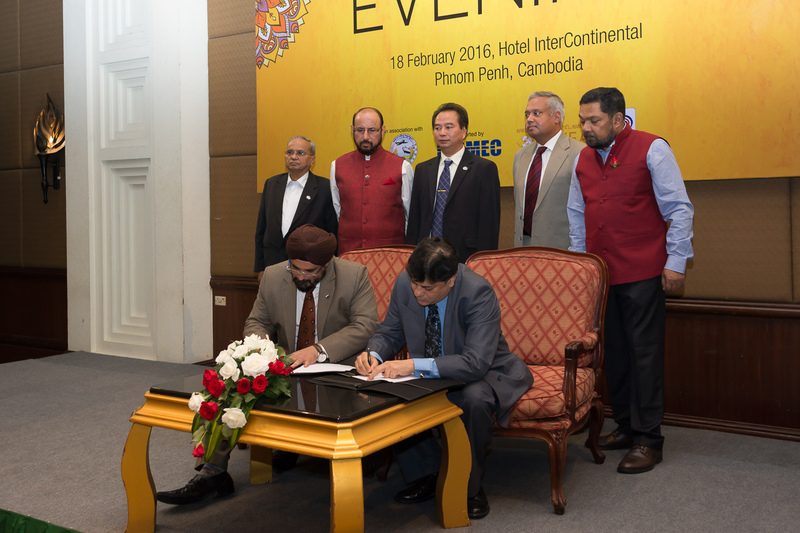 It is a fully Accredited Chamber of Commerce duly Acknowledged and Registered with the Royal Government of Cambodia and has also been officially endorsed by the Embassy of India in Cambodia. 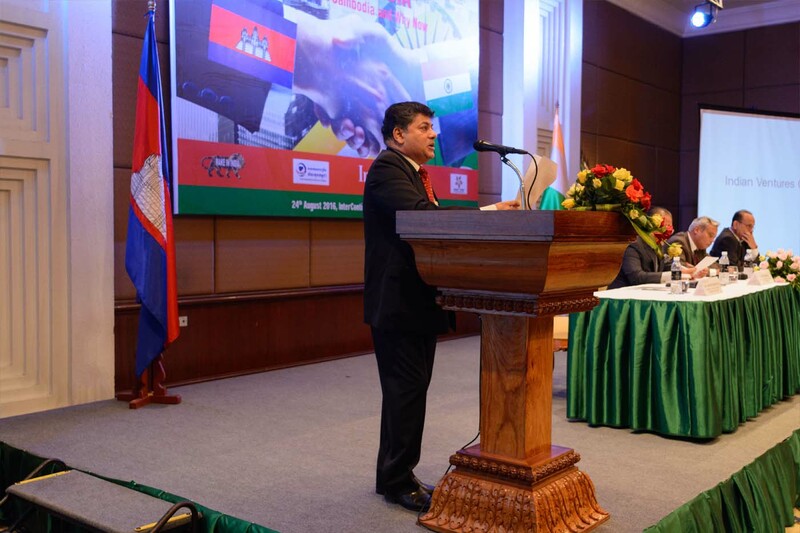 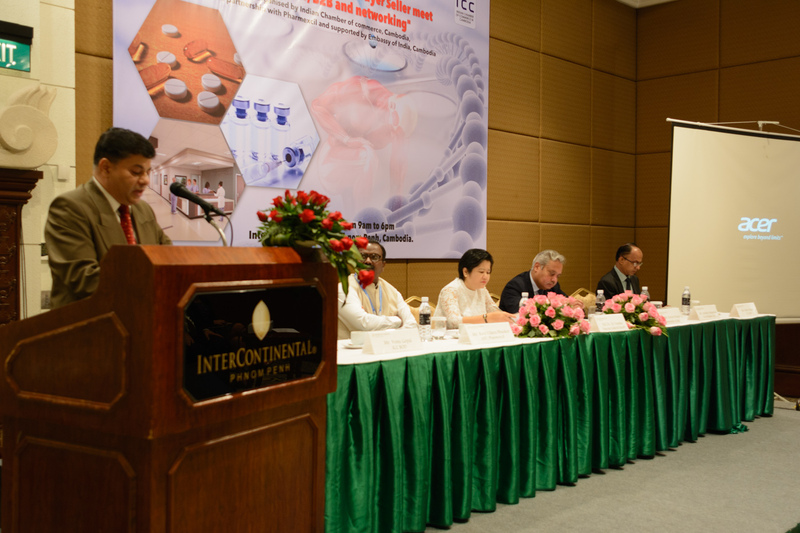 The InCham is established to represent Indian Businesses Entrepreneurs, Professionals living and working in Cambodia with the mission to become a major resource for information on trade, investments, business, and consulting in the country. 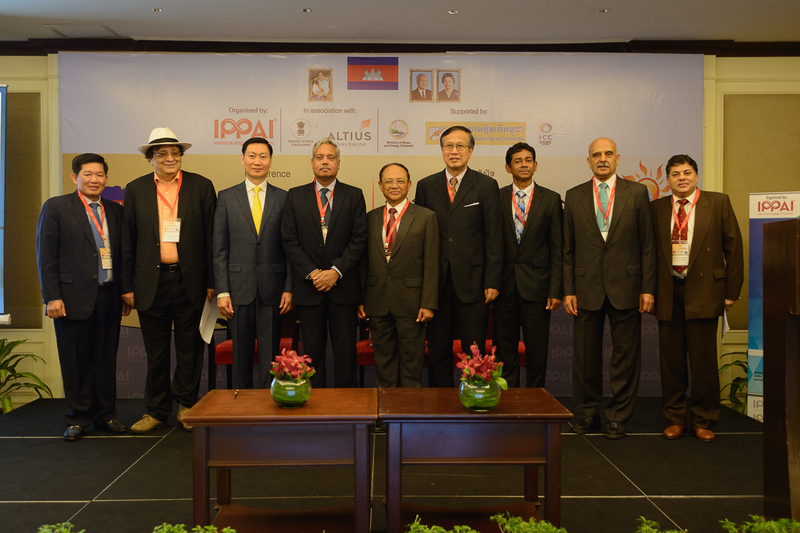 It’s objective is to act on behalf of Indian Business Organizations and Individuals for business facilitation and regulatory exchange as well as to promote India-Cambodia economic & bilateral relations and vice versa. 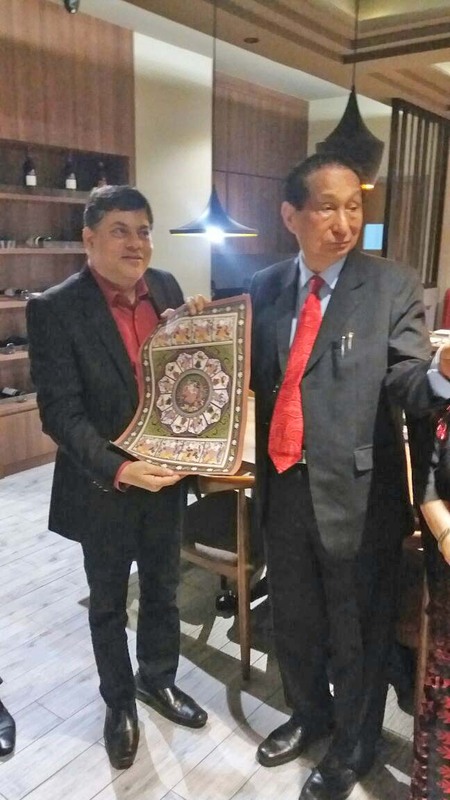 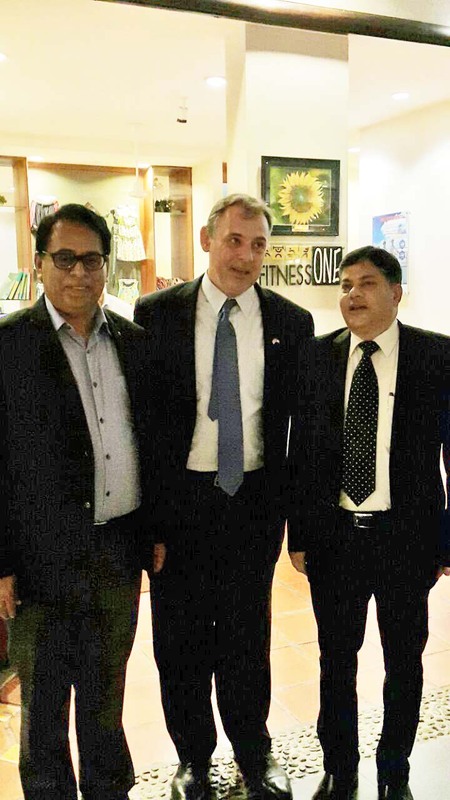 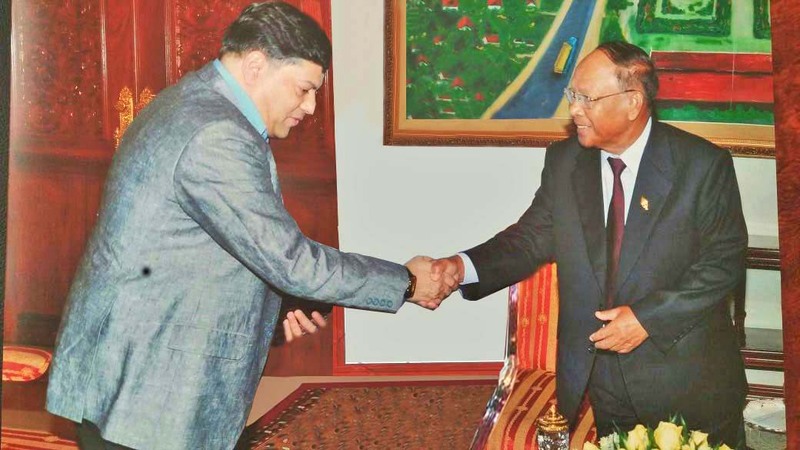 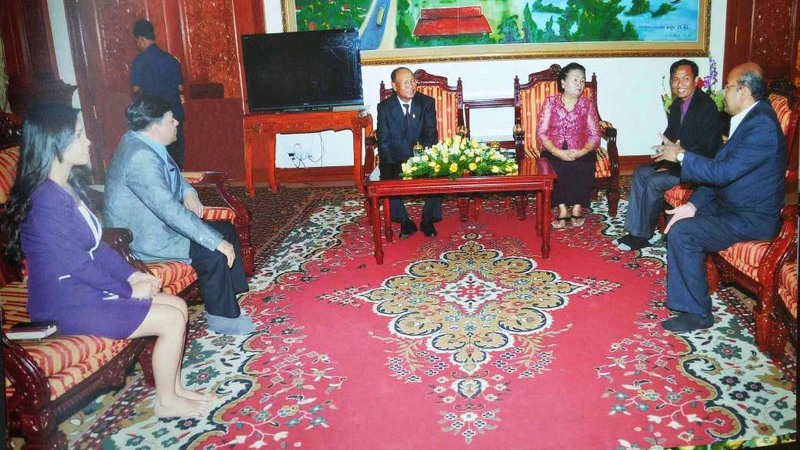 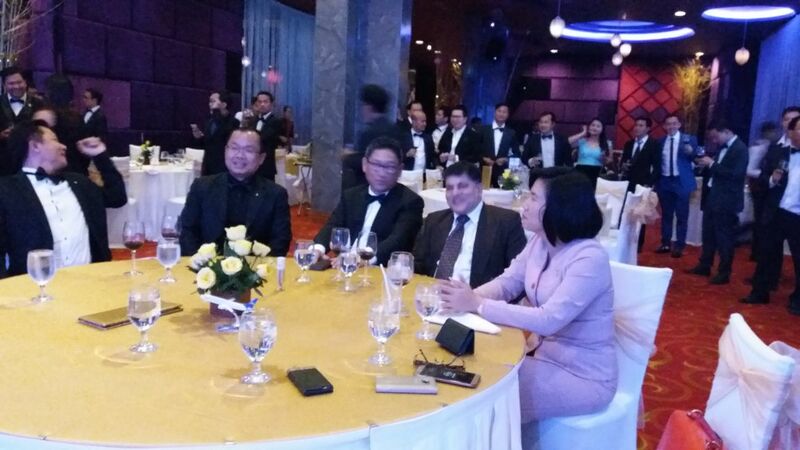 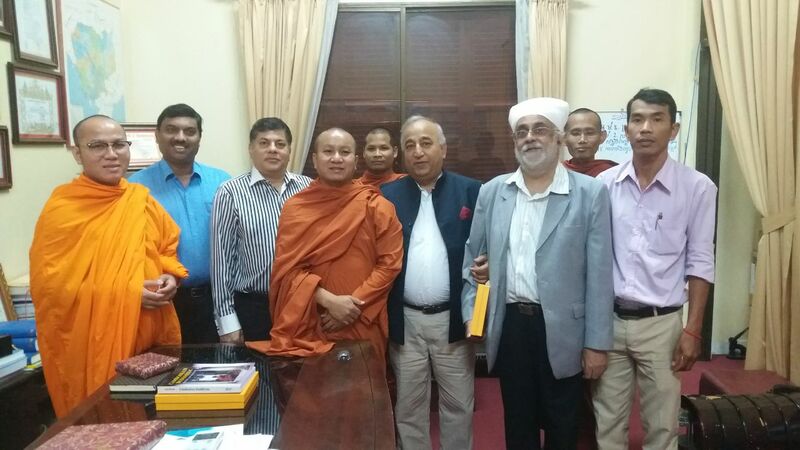 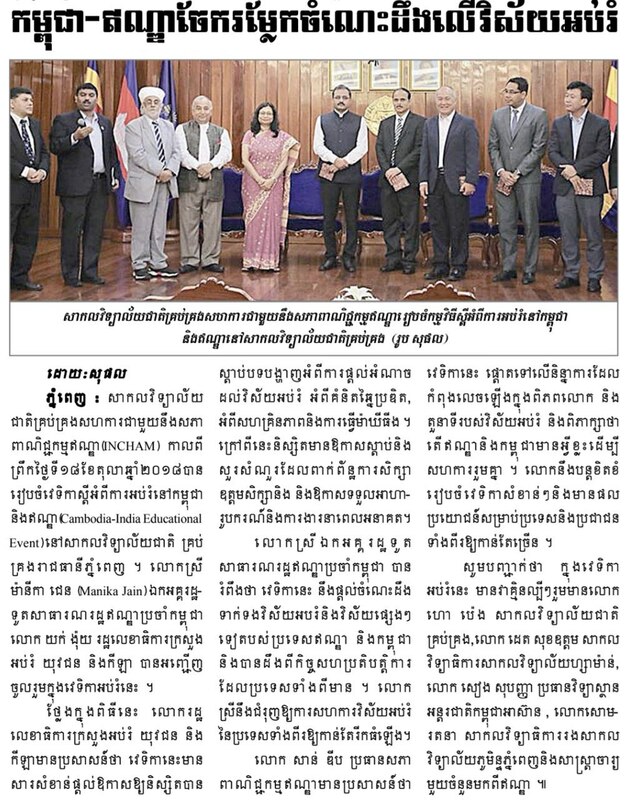 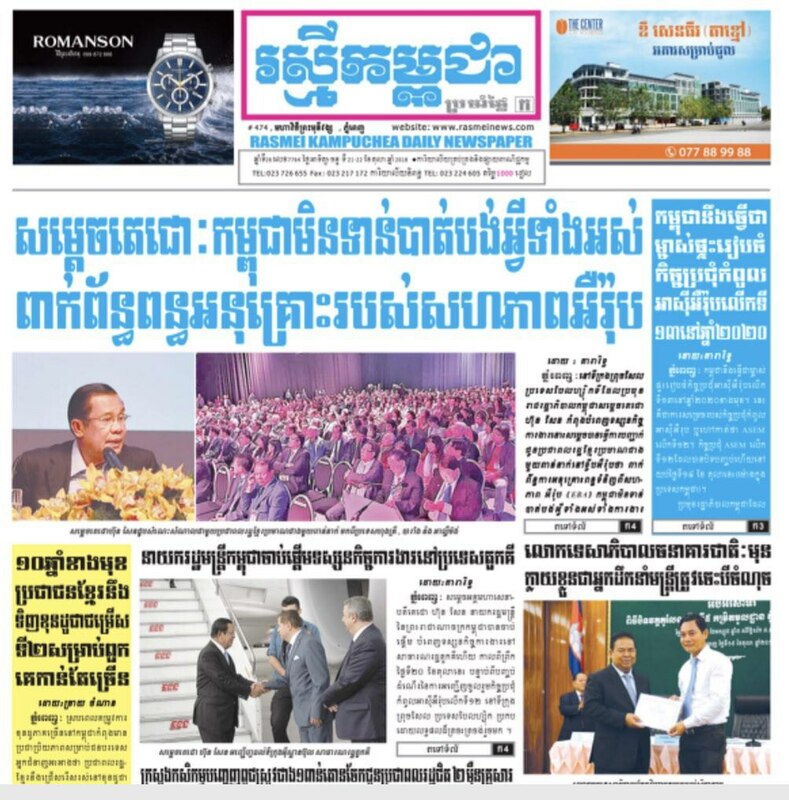 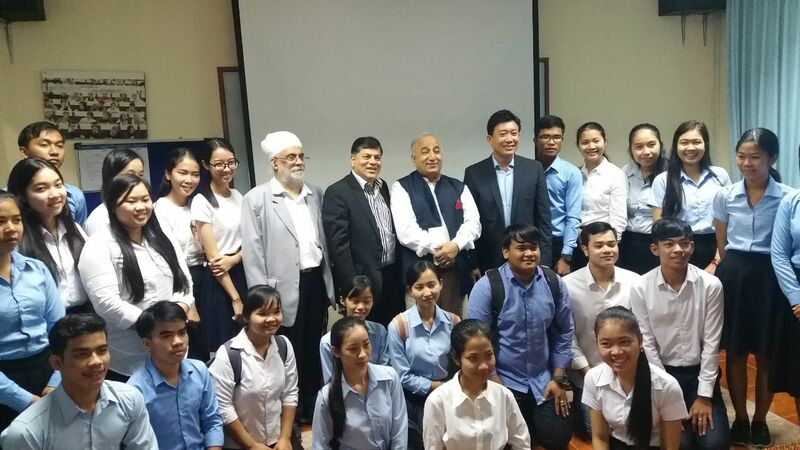 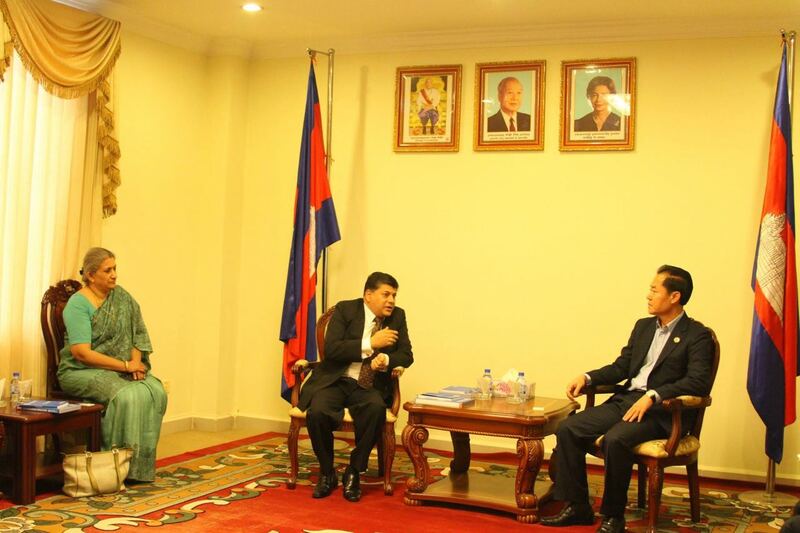 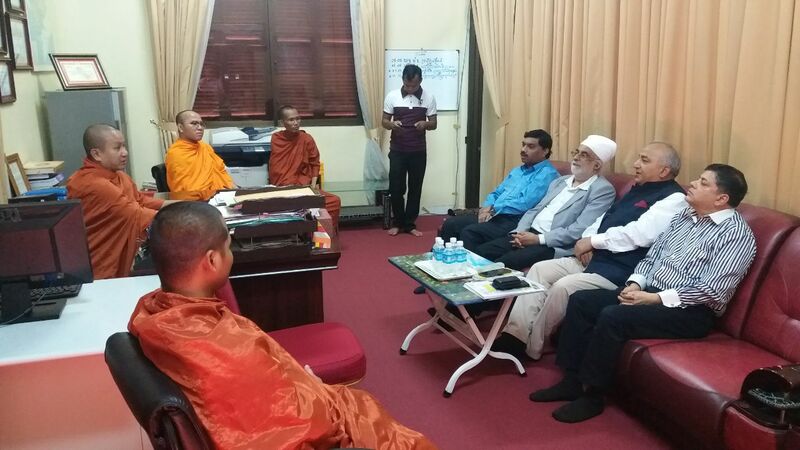 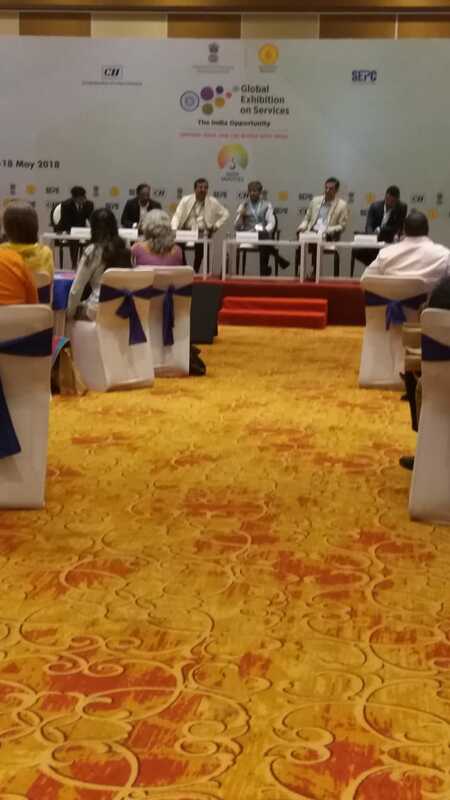 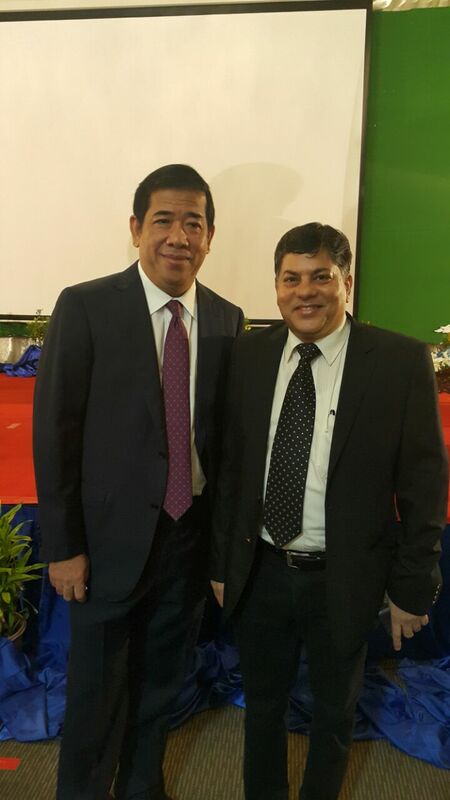 We are truly blessed by this Country of Cambodia to have leaders who are business owners, educators, and a wealth of Private citizens from India who recognize that we all share the responsibility of creating economic success and stability as well as we have to build the name of the Indian name and Indian Community as a whole in this wonderful country of Cambodia. 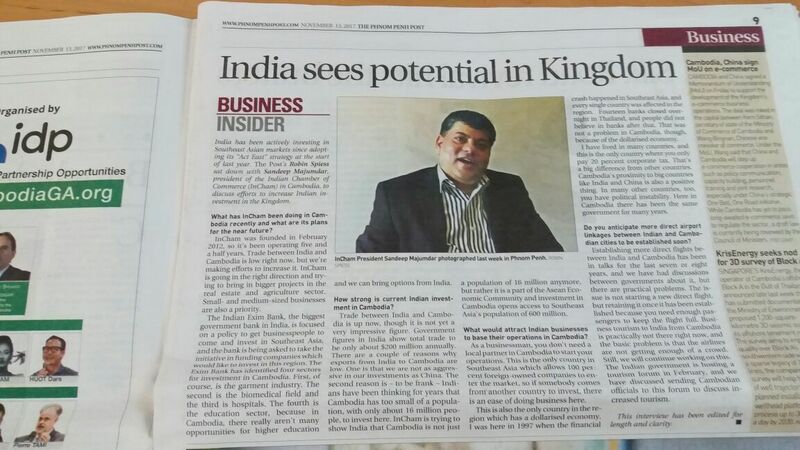 As a successful Indian community although small in numbers we all share the vision, we work, we volunteer, we support and serve for the Kingdom of Cambodia so that economically it will be powerhouse in the future. 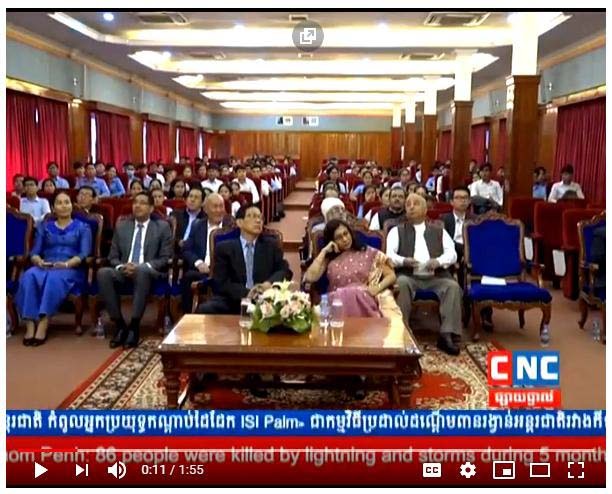 We also need to build on the successes of those who came before us and developed a new and innovative strategy that has made this Country even better. 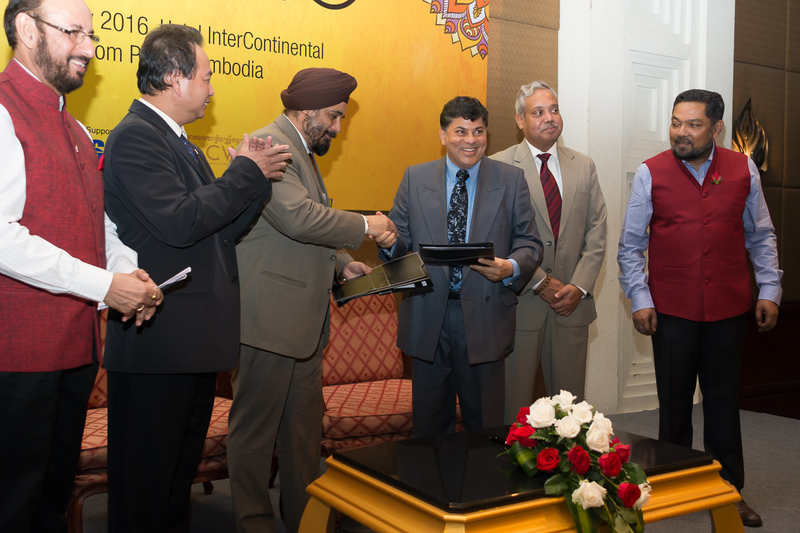 The Indian Chamber of commerce is formed by like minded people who wanted to make a difference to your business as well theirs in Cambodia, whether that means ensuring your views are heard within the Government body, Opening Business Opportunity in Local, National and International Markets or providing Critical business advice, services and development. 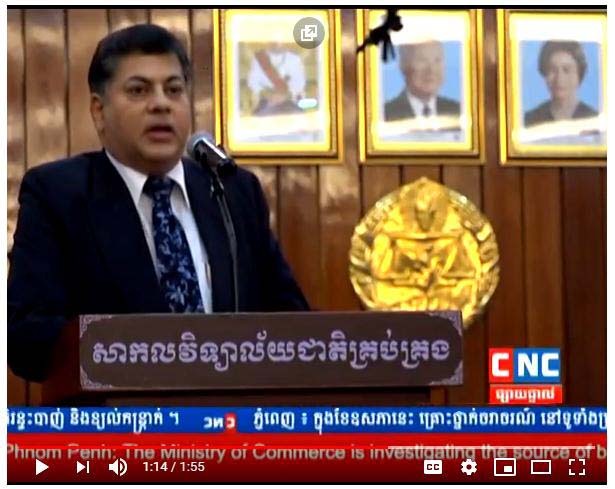 As the Premier advocacy organization, we are working to promote a healthy and vibrant economy for the growth of the Kingdom of Cambodia, while protecting and advancing the Interest of our members and to provide a positive business environment in Cambodia. 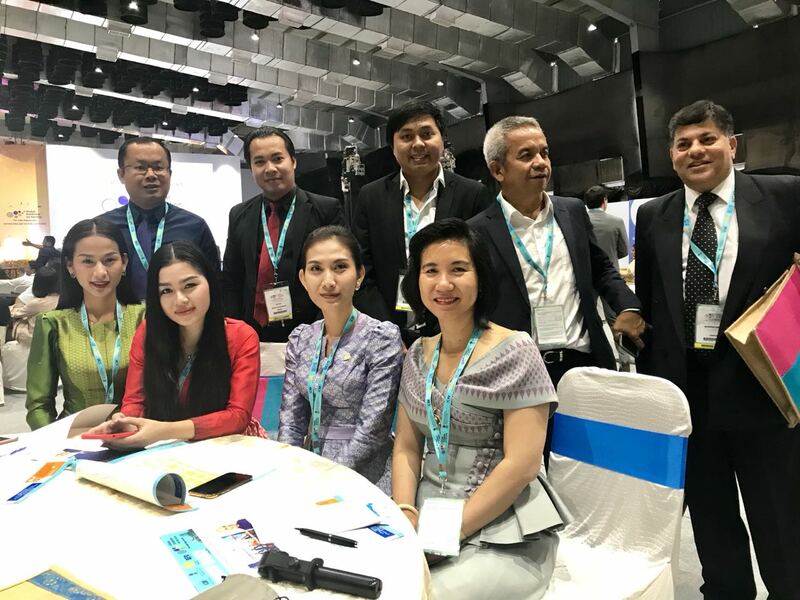 We want you as our member to be an important part of the organization to form committees and we encourage the member to get involved to help and make a difference. 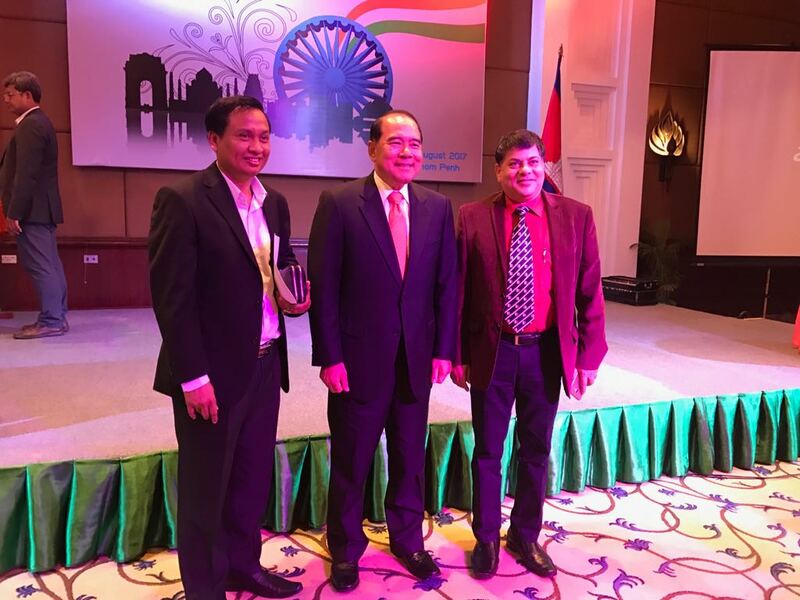 Our Mission will be to work with businesses of all sizes and represent all sectors of industry that are present in Cambodia which are of Indian Origin or related to Indian Corporate directly or Indirectly or through Cambodian Business houses. 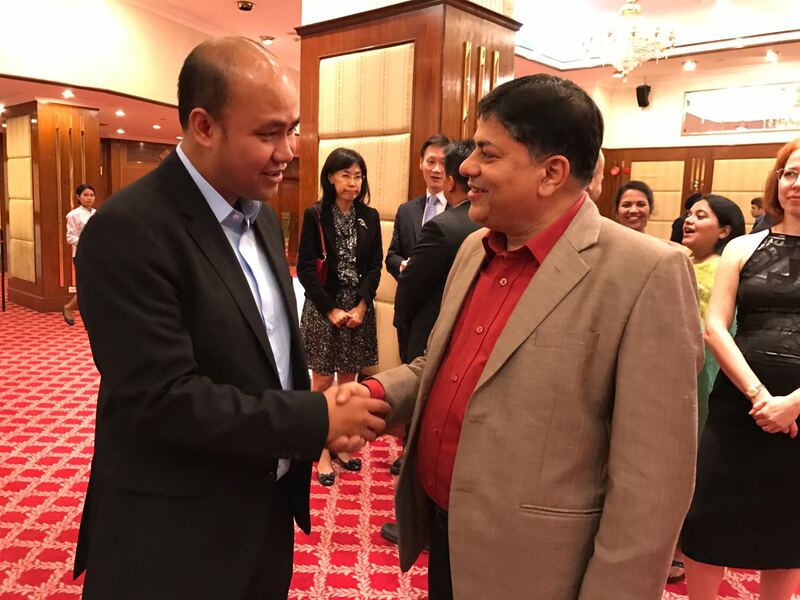 We want our network to be an essential part of Growing Indian Businesses in conjunction with Cambodian Businesses, and we can do this by sharing experiences, opportunities, knowledge and expertise. 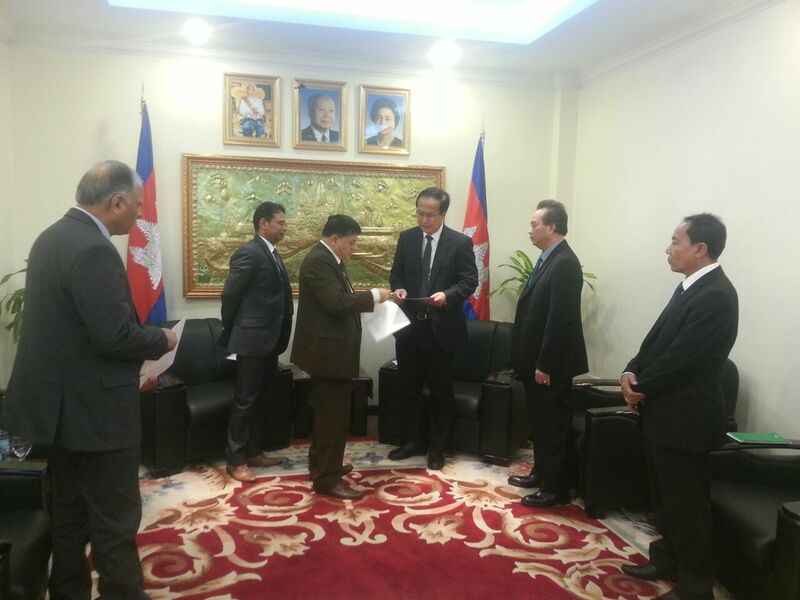 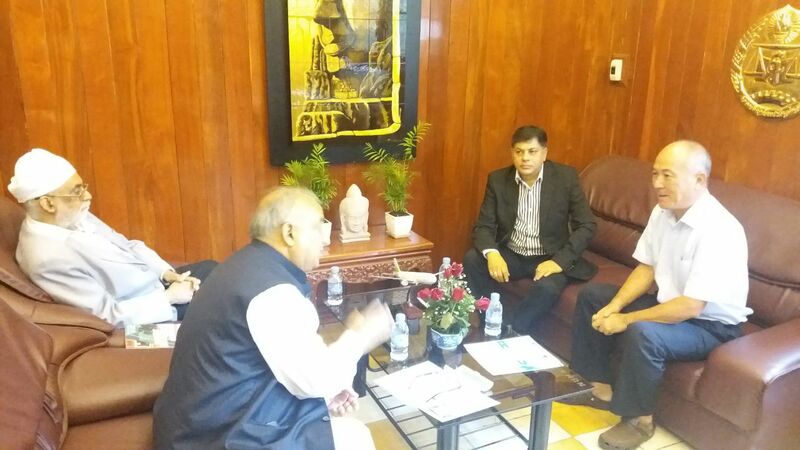 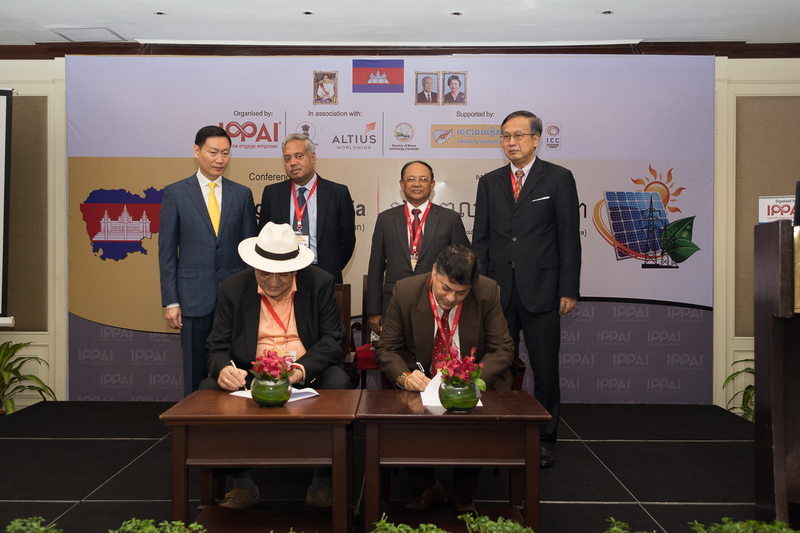 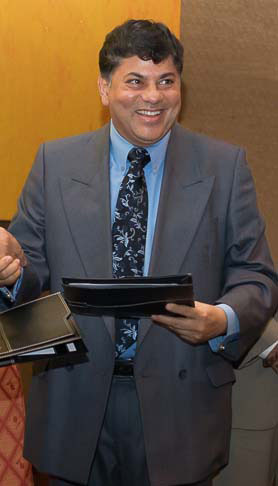 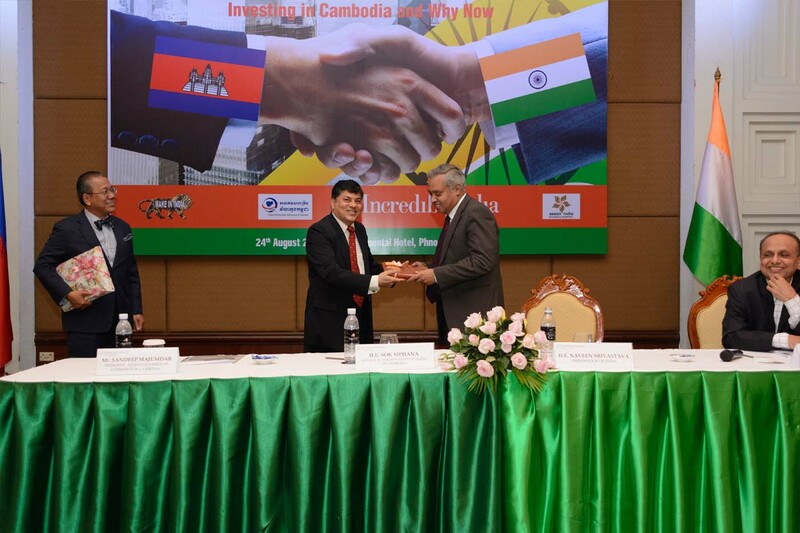 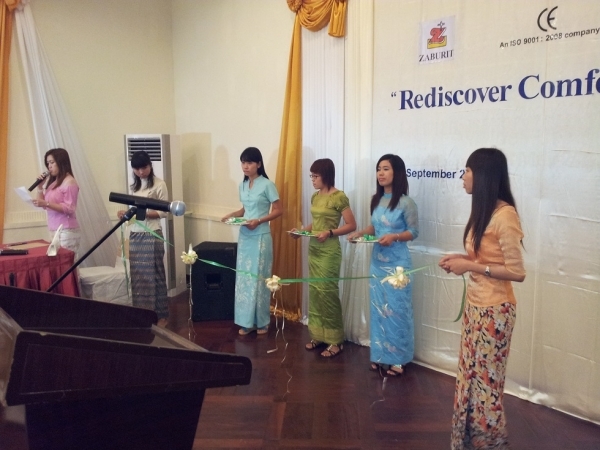 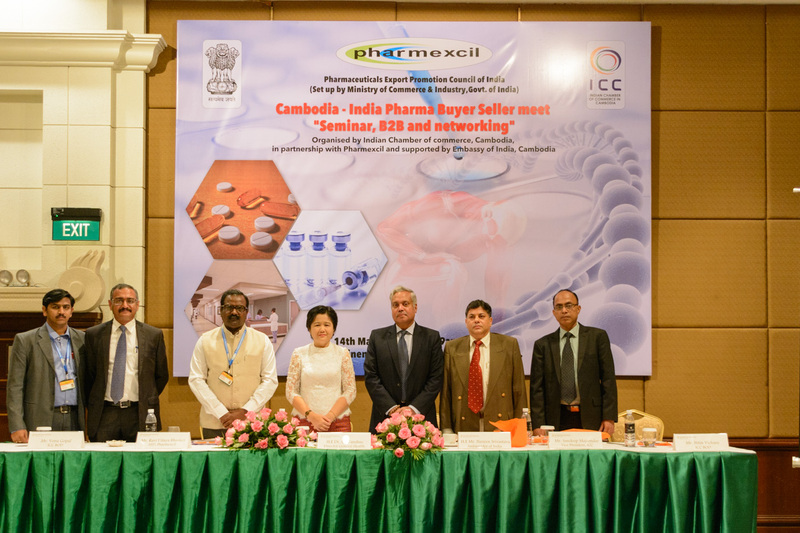 We commit to grow this Indian Chamber of Commerce of Cambodia by providing Local Indian Companies and related Indian companies with useful connection that we have cultivated over the years, and practical support and access to new Ideas and innovation that we have acquired being in this country for the last so many years. 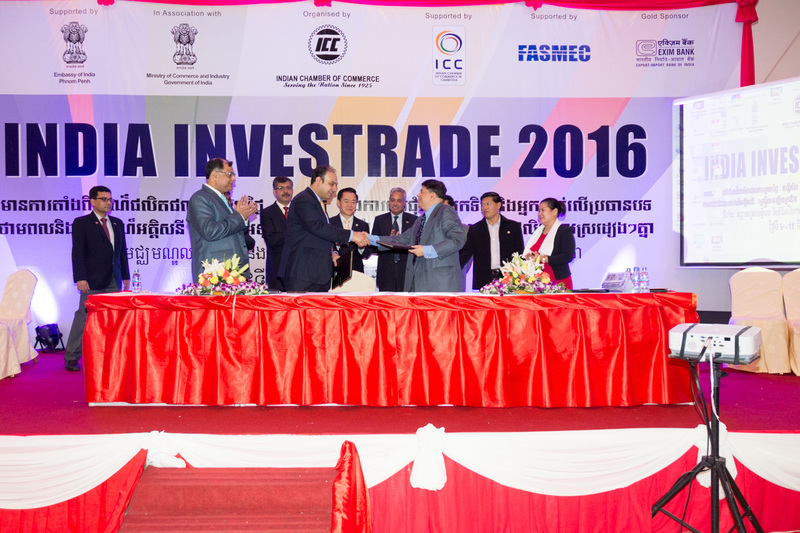 This Indian Chamber of Commerce works diligently to establish and maintain relationship with the local, state and Provincial Government. 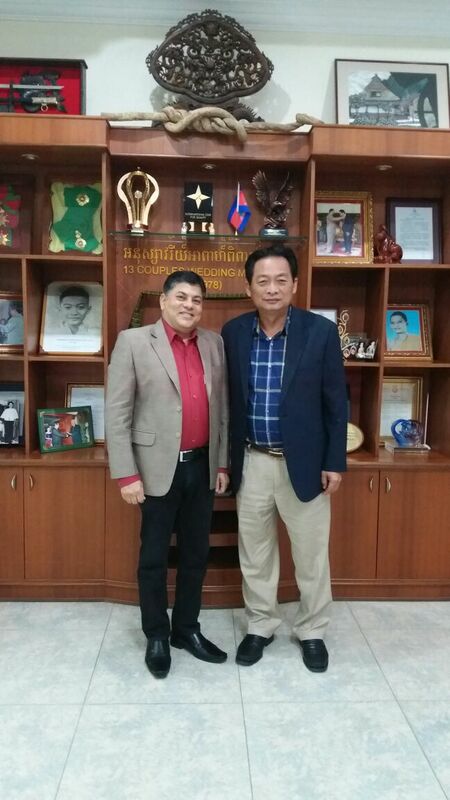 We would like to state at this juncture that although we are a Non-Profit organization, we are powerfully placed to help those who will be members and can join this unique organization with a strong campaigning Voice for the interest of Indian Local Business and Cambodian related Indian Businesses and also at the same time we can promote growth polices to grow organically and defend business Priorities with the Local government bodies. 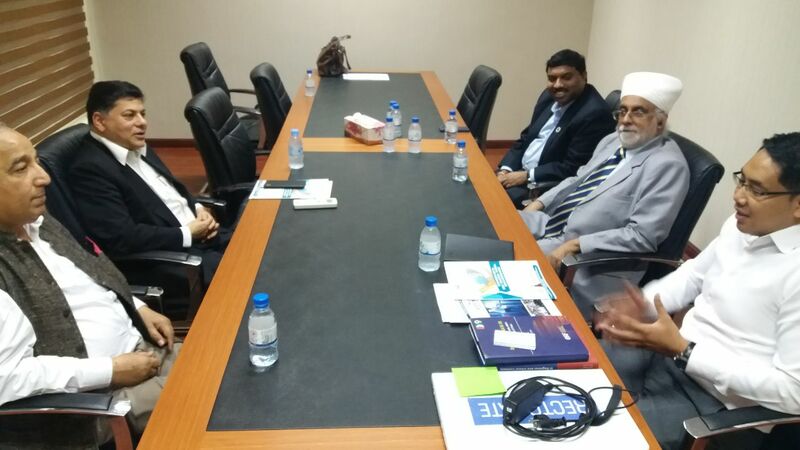 The Chamber works with other local civic and private groups to encourage new Indian Business Development and to create awareness of problems facing our Indian community in the Business environment. 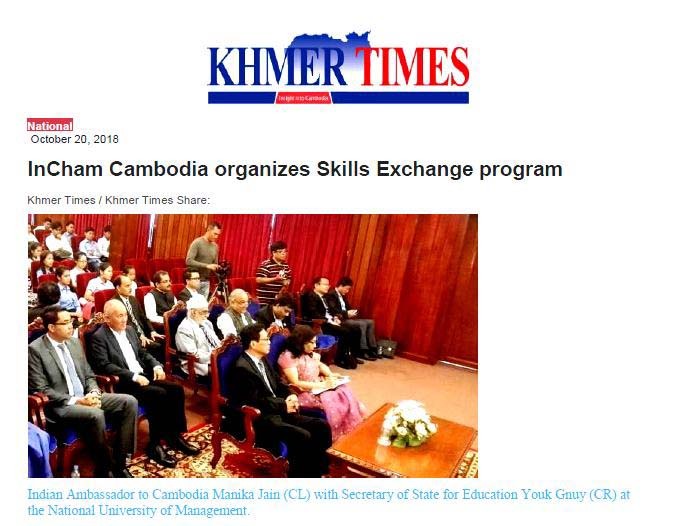 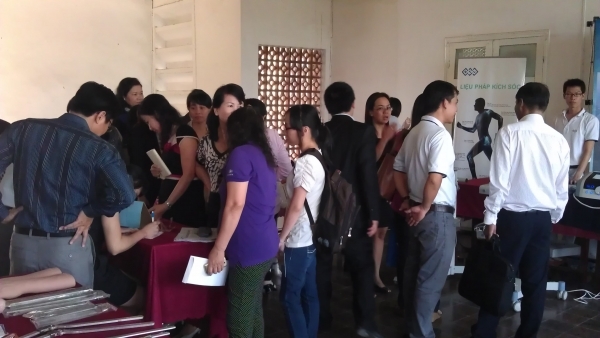 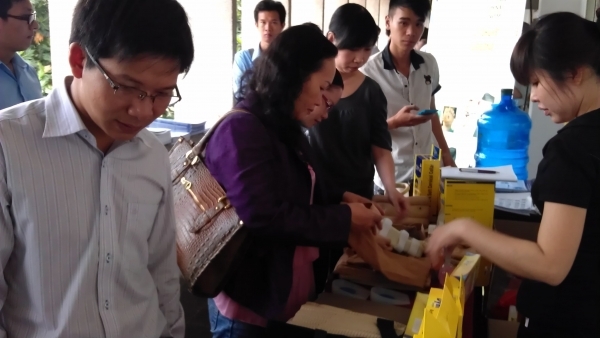 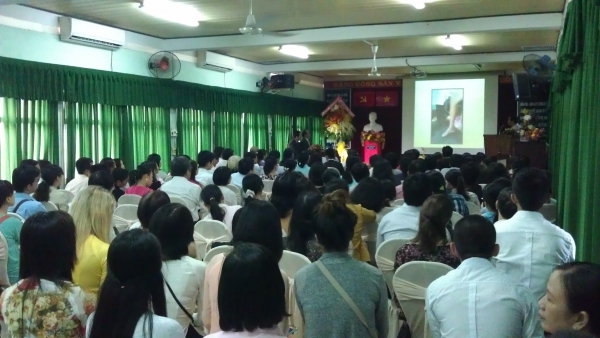 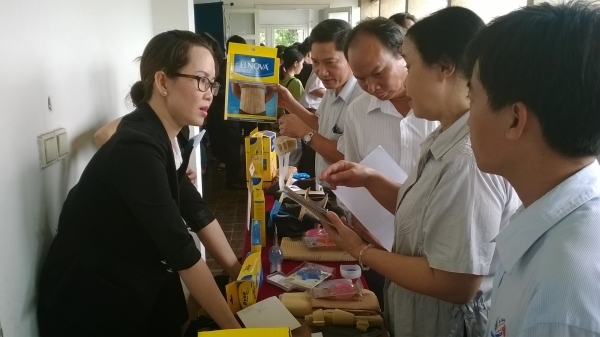 We also work to develop potential solutions, to be a source of information and support for business owners, and to maintain and enhance the economic environment of Cambodia. 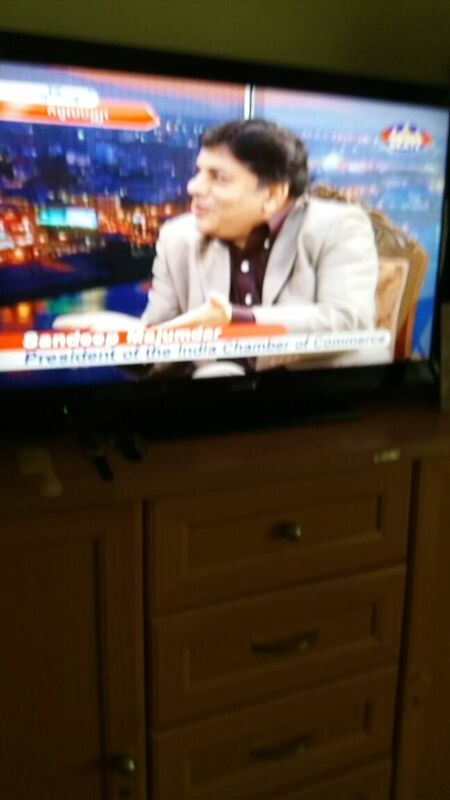 I will be looking forward and would like to take this opportunity to invite you all Indian Business Houses and Indians in general to Join the organization, your investment will be a benefit to your Business in many different ways, and attending the many Chamber Networking Events that we will arrange in the near future will be great ways to promote your Business and make the Indian Chamber of Commerce in Cambodia Stronger. 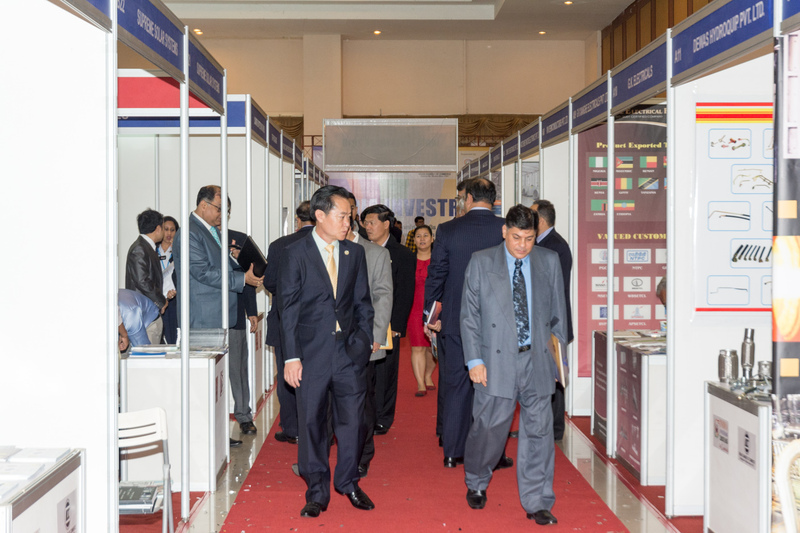 5- 5th India Mineral & Metals Forum Newdelhi (21st Sept 2016) India. 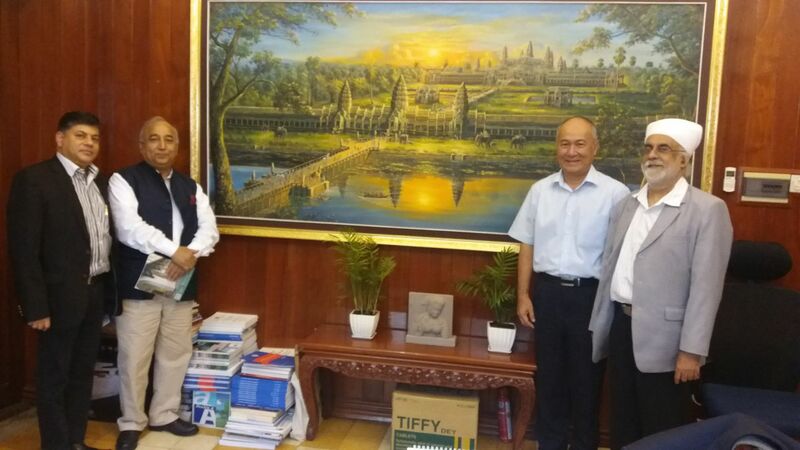 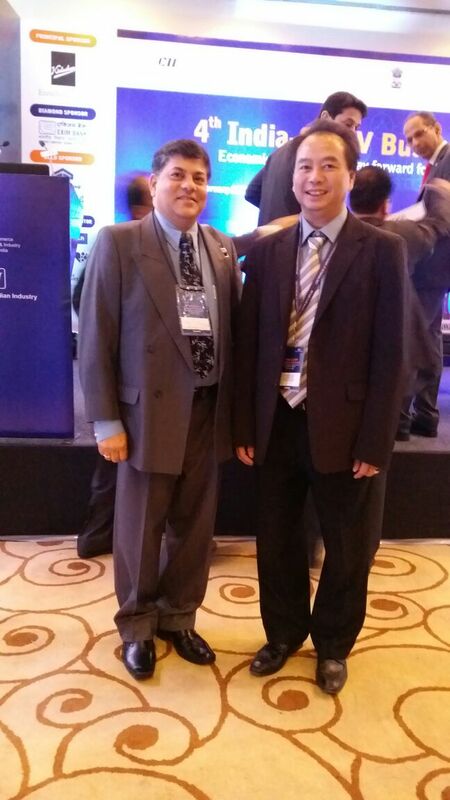 InCham President, Mr. Sandeep Majumdar meeting Oknha Lim Heng, Vice President of CCC along with Ms. Sujata of CII India. 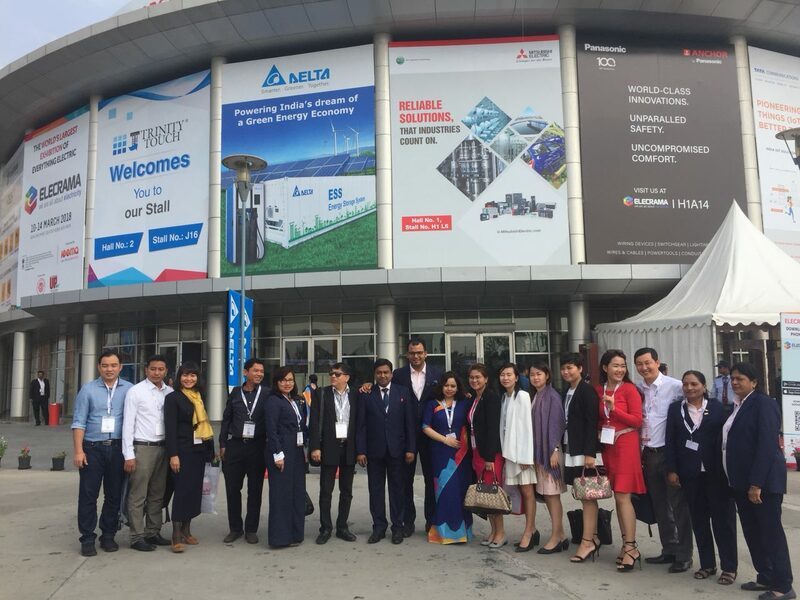 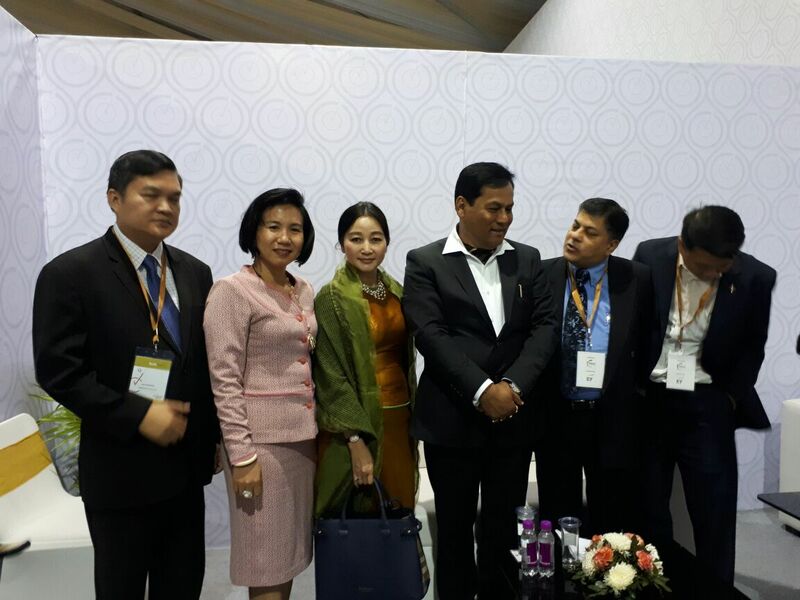 Mr. Sandeep Majumdar, President InCham along with Cambodia delegates and organizers of ELECRAMA and attend the Submit in New Delhi-India. 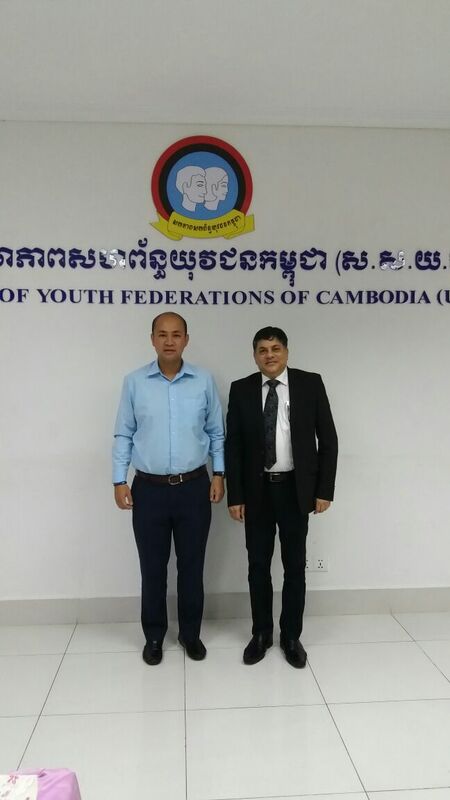 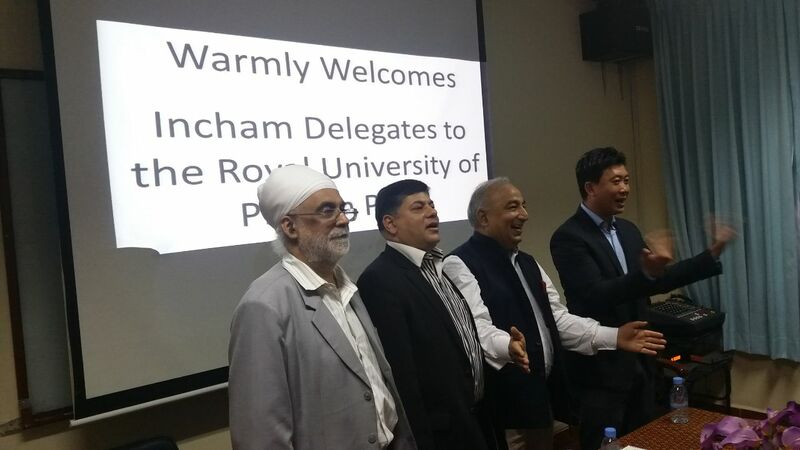 InCham President, Mr. Sandeep Majumdar heading the Cambodia delegation to Mumbai in to attend the GES submit from 15th to 18th May 2018, where in 100 countries participated. 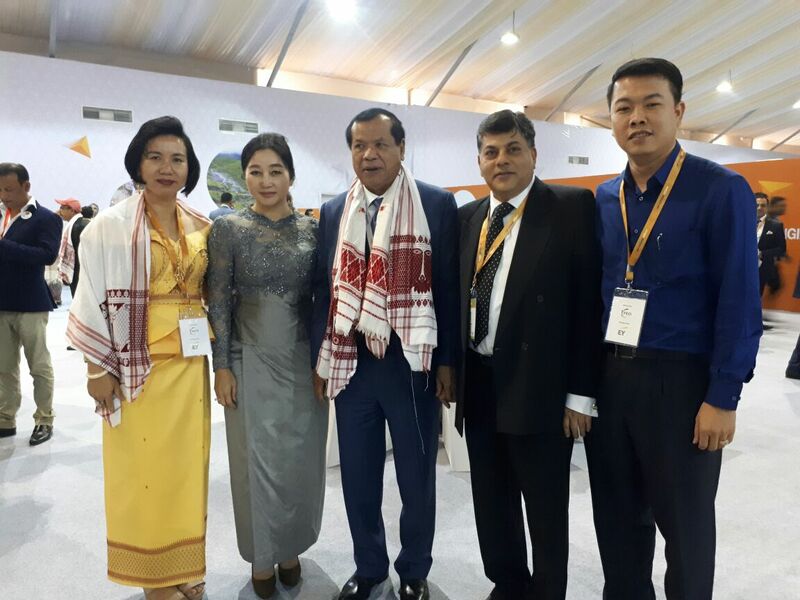 InCham President, Mr. Sandeep Majumdar along with Tourism Minister of Cambodia and Chief of Minister of Assam during advantage Assam Submit in Guwahati. 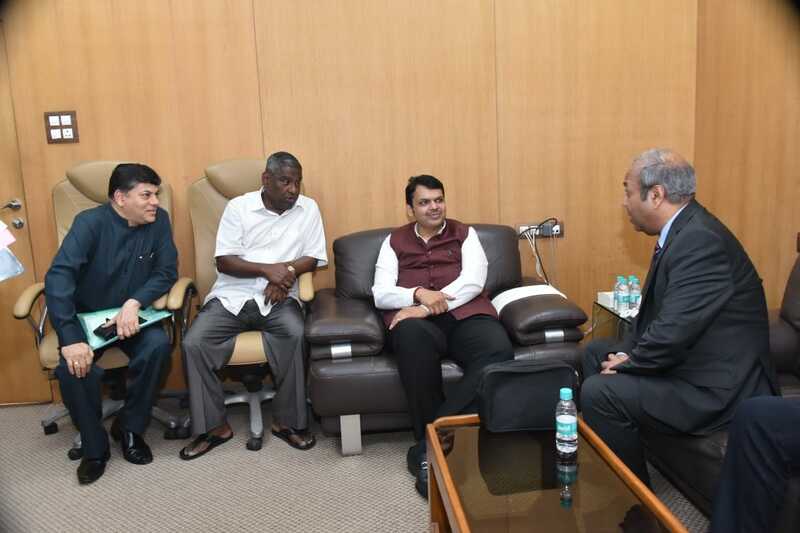 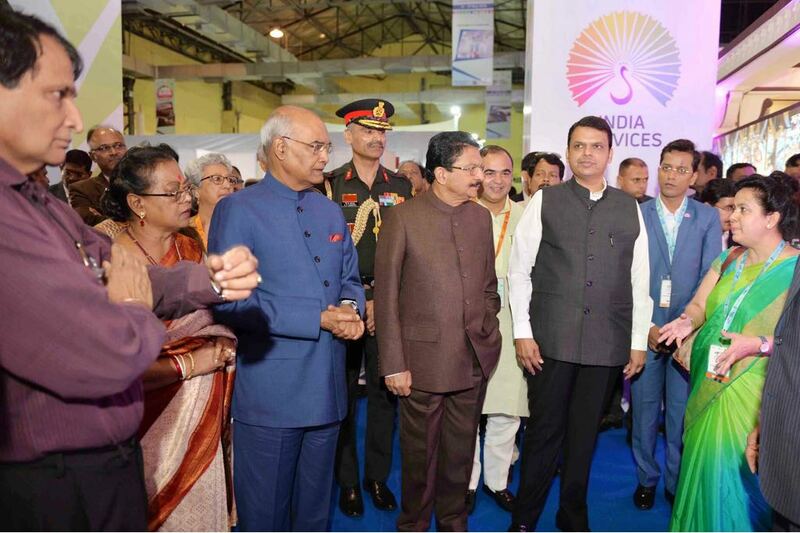 Hon,Ble Chief Minister of Maharashtra in India. 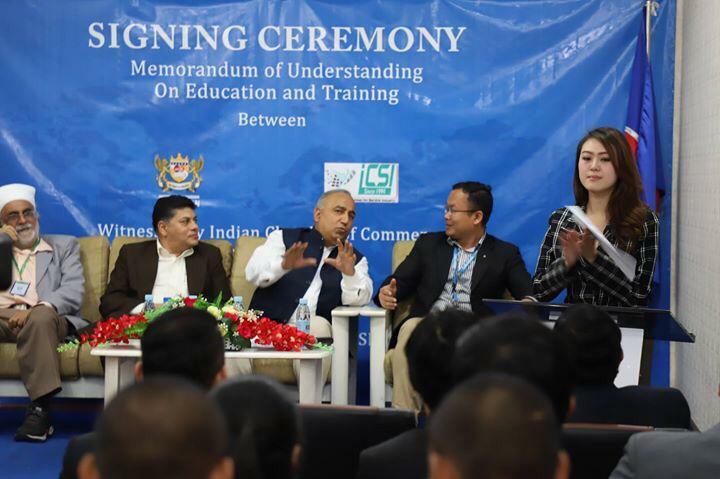 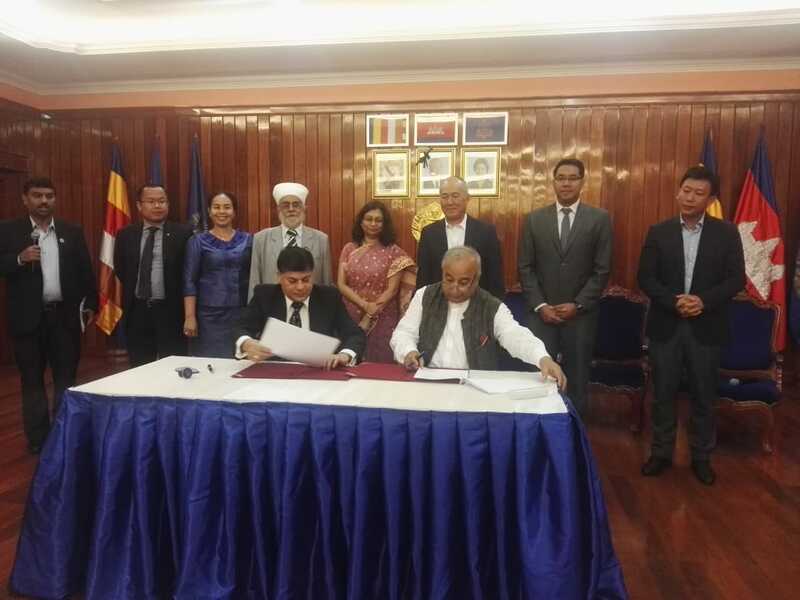 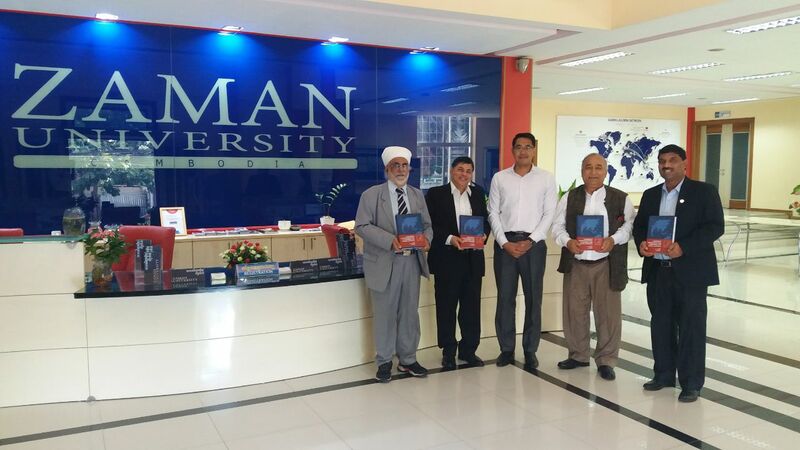 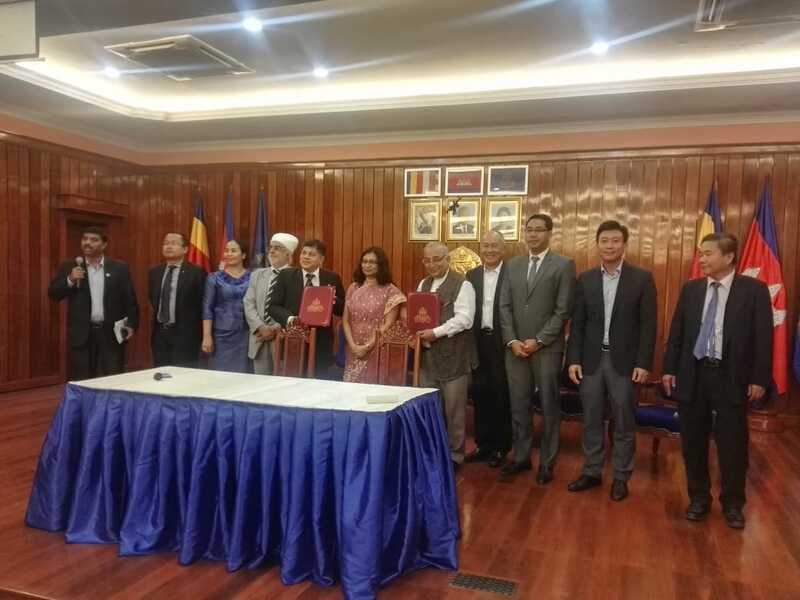 MoU Signing Ceremony between InCham and ICSI at the National University of Management of Education Event, attended by H.E Madam Manika Jain, Indian Ambassador in Cambodia and H.E Youk Nguy Secretary of State of Ministry of Education and Sport as the Chief guest.